Noah explains why he enjoys being a part of Energetic Juniors! “Candice facilitated a wonderful workshop that incorporated music, body movement, and lots of fun. Ben’s dreams have come true. He is the starting center for the 7/8th football team at his school. He was in every offensive play, and the only 7th grader to play the whole game. He is a happy, happy boy. The coach made a point to tell me he is the first boy on the field and last boy off and always asking how he can improve. And he has the respect of his teammates too! Robert, thank you for your care and guidance of Ben. Your thoughtful and meaningful sessions helped Ben reach his goals and for that I am grateful. Whoever thought workouts could be so much fun. Our daughter says she doesn like her fitness sessions with Katrina and Tami… she LOVES them!!! They have the “funnest and most active” time together – Thank you Energetic Juniors for helping our 8-year-old appreciate the power and fun of fitness. 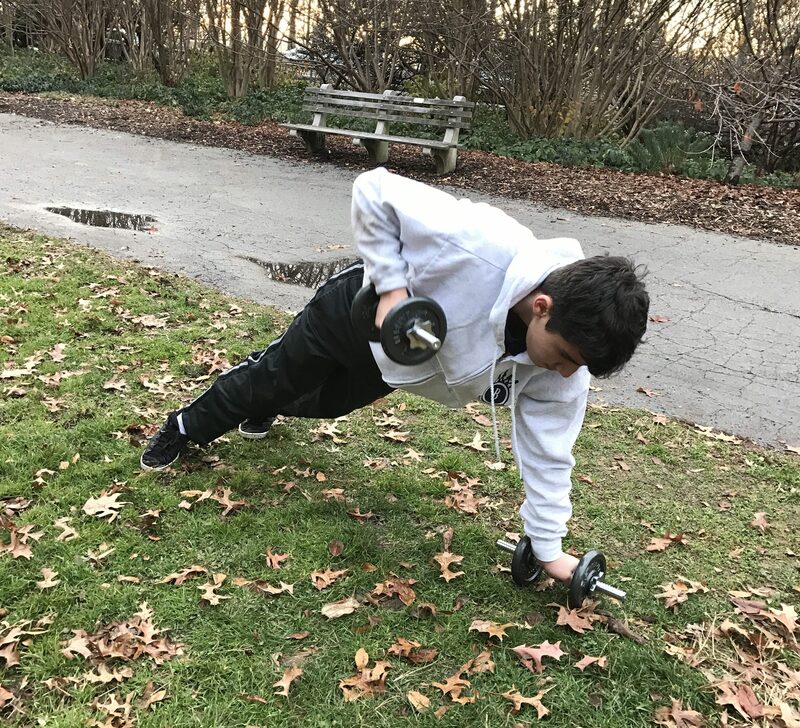 Thank you Energetic Juniors for a much needed program to facilitate physical activity which is FUN, in our otherwise sedentary New York City kids. My teenage daughter was steadily gaining weight. She would not listen to anyone, even her doctor. Bonita Porte’s trainers were able to get through to her. They helped build her self-confidence, helped her with eating habits, and got he interested in looking good in a healthy way. My daughter has lost 40 lbs. Thank you, Energetic! 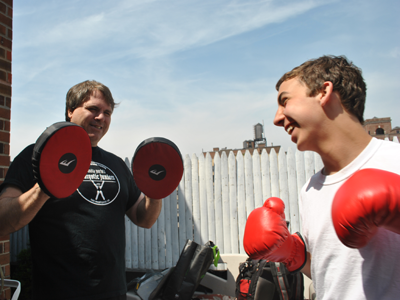 Our 13-year-old son, Cameron, has been working with an Energetics trainer for over a year now. Although he loves sports, he tends to be undisciplined and a bit overweight; his trainer has been tactful but persistent in addressing these issues with him. We are very pleased with the results. We first tried EJ last year. It was recommended by our pediatrician to help our son to get moving and more active. He usually shied away from sports and exercise because he didn’t have the basic skills like catching a ball due to OT issues. Through the program he has improved and gained so much confidence. They make it fun and entertaining, which is exactly what he needs!!! He LOVED his workout with you and I am so appreciative of your time and your helping him to lose weight, get healthy, etc! He really enjoyed the training and it was a very positive experience for him. His behavior when I got home was so different from other nights in terms of calmness, cooperation, etc. He actually cleaned his room, which he has never done without a struggle. This just proves that not only the work out is helping him release a lot of his energy in a productive way, but also making him feel better about himself. If this is how he feels after only one session with you, I am really positive he will succeed as he continues. Due in part to Energetics, I was able to lose sixty pounds between the ages of 14 and 17. I play baseball for my school, at the Division III level, and I have four years of baseball coaching experience with kid’s ages 9-12. Energetics helped me transform my life, I have experienced the good it can do and would love to be part of it. Comments from Ben, now a college student who was looking for a summer job. We recently went on a family vacation, and when my son tried on the swim trunks he had been squeezing into last summer, they were so big around his waist that they kept falling down! The smile on his face when he really saw the results of his workouts is something I will never forget. He was proud, thrilled, and best of all, motivated to keep up his good work. His physical confidence has taken a giant leap forward! Thank you Matt and Bonita for your wonderful program! !